Pursuit – it’s a big word and a bigger idea. It speaks to your desires and aspirations: your life’s work, and so much more. We’re tackling this large idea – pursuit – with some of the most creative thinkers in Wichita. We’ll be showcasing their work with our dancers on the runway in a first ever collaborative project we’re calling “Runway PURSUIT”. 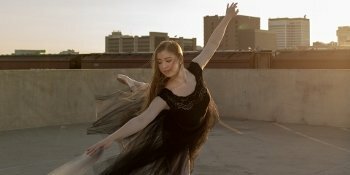 Choreographed by Ballet Wichita’s Artistic Director, Alex Ossadnik, the show includes Art & Dinner, Dance, High Fashion, Original Music, & Great Company. It’s about celebrating the incredibly inspired, creative work happening in Wichita in one of the best places in town to have a great time. 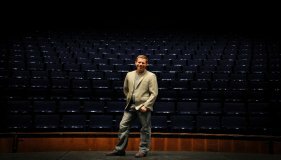 The show features the incomparable work of the design team at the Eric Fisher Salon and the EF Academy; the amazing dresses by Alicia Ybarra (Vanya Designs) and Tonya Jones (Miss Diva Clothing), music by Torin Anderson and endlessly talented Ballet Wichita dancers. 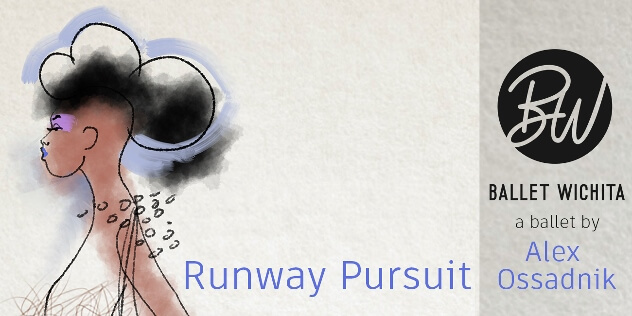 Join us for the first ever, “Runway PURSUIT”, May 10th and 11th at Roxy’s Downtown. A three-course meal will be served during the show, pairing performance with hors d’oeuvres, dinner, and finally a delicious dessert. Lightly Breaded Chicken Breast topped with a Lemon Caper Butter Sauce. Served with Fettuccine Pasta Tossed in a Light Alfredo Sauce and Lightly Seasoned Spring Squash and Zucchini. Vegan Pasta Tossed in a Light Vegan Alfredo Sauce and Lightly Seasoned Spring Squash and Zucchini. One Chocolate, One Vanilla Cheesecake Bite and Two Traditional Tiramisu Bites.